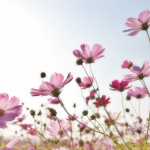 We hope your Valentine’s Day weekend was full of lots of flowers and chocolate! Today, whether you’re stuck inside with the kids on a snow day or hard at work, we hope you’ll fill some time with reading this update and taking action. We’ve reached the midway point of the 2016 legislative session; now is the time it’s imperative you take action and let your voice be heard! Thursday, February 11th was the 30th day of this 60 day session. By then, 577 bills had been introduced in the Senate and 936 in the House. So far all that has gotten passed is the ideological bucket list of the conservative agenda – Right to Work, Prevailing Wage elimination, and now it seems that RFRA (Religious Freedom Restoration Act) and drug testing for TANF (welfare) recipients will also pass. Voter ID has also gotten “legs”. No matter that our budget is in the red; our state has the lowest worker participation rate in the nation; our roads, bridges, and schools are crumbling and public employees’ health insurance (PEIA) is under water. Nope, first things first, we’ve finally wacked the unions, now we’ve got to get right with God and make sure no one votes without a picture ID. In juxtaposition between national and state politics – House Judiciary moved voter ID (HB 4013) on the same day that president Obama returned to address the Illinois Assembly back in his home state. The topic of his speech? Voting rights and the corrupting influence of too much (especially secret) money in politics. Our voter ID bill is another out of the Koch Brothers’ toolbox to ensure that minority and low-income voters have a harder time exercising their right to vote. It is truly a solution for a problem that doesn’t exist. In our state the only significant vote fraud has historically be initiated by our elected officials and candidates for office as federal prosecutors have thoroughly demonstrated. Lawmakers on Friday overrode both of the Governor’s vetoes of the Right to Work (for less) and prevailing wage repeal bills. These two anti-labor laws will go into effect this spring. Labor is now mounting a campaign entitled “Remember in November” to hold those elected officials accountable. An ALF-CIO notice came across my screen yesterday for the kick-off of this effort – a “right-to-work” is still WRONG for West Virginia protest outside of a fundraising dinner honoring Senate President Bill Cole. They’ll meet at 5:00 p.m. on Tuesday, February 16th outside the Equities House, located at 900 Virginia Street East in downtown Charleston. Feel free to join in the fray. Better yet, make sure all your friends, neighbors. and family areregistered to vote and actually get out and do it! The House passed the so-called Religious Freedom Restoration Act on Thursday and sent it to the Senate, despite the fact that our religious freedom doesn’t need restoration since it’s adequately protected by both the federal First Amendment and the WV Constitution. Watch Delegate Mike Puskin, the only Jewish member of the House, explain to delegates the real meaning of religious persecution. We’re hearing the Senate has some misgivings on this issue, so contact your senators to inform them of your concerns with this bill. Amid the gloom and doom of this session, there exist rays of light. A public hearing this week on HB 4334 drew 5 times the supporters vs. opponents, includingtestimony from WV CAG. Already the law in 22 states, this bill allows APRNs (Advance Practice Registered Nurses) to practice to the full extent of their training. With so many areas of our state medically underserved, passage of this would be a big step forward. We’re also hopeful that the LEEP bill (SB370), allowing an alternative source of funding for commercial energy efficiency upgrades, will finally get onto the Senate Energy Committee agenda and begin to move. This one is a win-win for both small business and the environment. During times like these, it’s good to know you, our members, have our back. Even in better times much of our job is fighting off horrendous (and just ill-conceived) policy with an occasional win for our side. However, if the progressive community was not there with a united voice, so many more misguided bills would become law. Winning is often measured in what we are able to derail – such is the nature of this runaway legislative train. A big thanks to all who have generously sent in their memberships and even a little extra to help us keep up the fight! If you haven’t yet, becoming a member is easy. Click here or send a check to 1500 Dixie St., Charleston, WV 25311 – whichever you prefer. 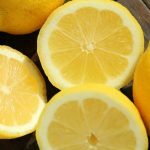 Be part of the solution! Last week we told you about SB 508, a bill that would take away citizens’ ability to bring “nuisance” suits against against oil and gas drillers or others who engage in activities that harm their property values or interfere with the enjoyment and use of their property. If SB 508 passed, property owners would be left with no legal recourse to hold irresponsible neighbors accountable for their actions. After some discussion, the bill was sent to a subcommittee for further consideration. The subcommittee which is scheduled to meet on Tuesday, will make recommendations to the full Judiciary Committee as to what should happen with the bill. Please continue to call, email and use social media to oppose this bill. If you’ve been personally affected, please share your story. Your stories matter!!! 4) If your affected, we may need you to come to Charleston on short notice. If this bill passes the Senate we will need people to come and testify before the House of Delegates. Here is the link to the WV Association for Justice (WVAJ) Facebook page with information on SB 508. Like it! WVAJ has also created a page to easily to contact your legislators again and urge them to vote NO on SB508. 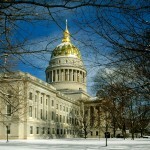 Here is our WV Surface Owners’ Rights Organization (WV SORO) action alert on SB 508. Again, please, share these links with your friends, family, neighbors, and fellow West Virginians, and keep an eye out for more information on this bill later this week. Since our inception, WV CAG has advocated for stronger consumer protections for everyday West Virginians. 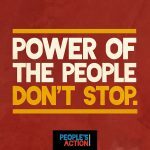 There are several bills this session that chip away at protections for consumers and give a little more power to employers, creditors, and banks. 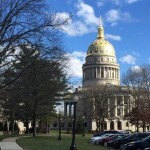 These bills make changes that can be somewhat complicated and wonky, but can together have a large impact on working-class West Virginians’ lives. I wanted to highlight one such bill this week that deals with how workers get paid, as well as a bill that is improving protections for consumers. There are actually a few bills that that relate to how employers can get affect how their employees get paid, but only these two are moving through committees, so far anyway. things like uniforms or tools that an employer pays for, but wants the employee to pay for out of the employee’s paycheck. A few bills have been introduced on these topics, but the one that is moving the most quickly is SB 290, which is sponsored by Senator Charles Trump (R-Morgan), the powerful chair of the Judiciary Committee. The current version of the bill addresses both the payroll card and wage assignments issues. For payroll cards, the current language would permit an employer to force an employee to be paid by payroll card, a provision that would appear to violate a federal law, the Electronic Funds Transfer Act. Senate Majority Leader Jeff Kessler (D-Marshall) added an amendment on the Senate floor that improved the bill by making sure that employees will not get charged fees for doing things like retrieving funds or replacing a lost or stolen card, and by disallowing a daily limit on withdrawals. Another aspect of SB 290 is that it will allow employers to make a never-ending wage assignment, as long as they get their employee to sign a document once. Senator Mike Romano (D-Harrison) added an amendment to the bill when it was being discussed in the Judiciary Committee that required an amendment, but there is no limit to how long these assignments can last. The bill has been approved by the Senate and is assigned to the House Judiciary Committee on the House side. Given the history of company stores, being paid in scrip, and other abuses by employers, West Virginians are rightfully wary about giving more power to employers over the paychecks of their employees. We need to maintain the laws that protect employees from their employers. On the flipside, HB 4417 is a good bill going through now that increases the amount of peoples’ paychecks that is protected from court-ordered wage garnishment to around $360 a week. The bill is sponsored by House Judiciary Chairman, Delegate John Shott. 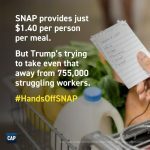 Having at least $360 a week will help working class West Virginians be able to meet their basic needs, while also meeting their legal obligations. The House Judiciary Committee recently approved the bill and it is headed to the floor for approval. Reinstate the time limit for how long a wage assignment can last without having the employee sign off on it again. Be sure to be respectful and ask for a response to your concerns. Below are the members of the House Judiciary Committee. Send an email to them by copying the list below and pasting into your email ‘To’ field. HB 4013 is less strict compared to voter id laws adopted by other states. As noted inthe Gazette-Mail article, voters who lack photo identification could still cast a provisional ballot and potentially have their votes counted without taking additional action. Additionally, the Judiciary Committee adopted an amendment by Delegate Larry Rowe (D-Kanawha) that would allow another voter or a poll worker to vouch for the identity of the voter, enabling them to vote a regular ballot. Other amendments adopted would allow older voters to use expired forms of photo identification with a recognizable photograph, as well as some forms of government issues identification that lack photo, such as Medicare and Social Security cards. As you may recall, the LEEP Act (SB 370) is the top priority of EEWV this legislative session. It is a bill that allows local governments to create a funding mechanism for energy efficient upgrades to commercial buildings. 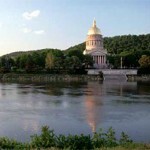 The bill has strong, bipartisan support in each house of the legislature, but has not yet been taken up by a committee. We believe that it will be taken up soon, however. The bill was actually on the agenda of a meeting of the Senate Energy, Industry, and Mining (EIM) Committee last Thursday, but the committee meeting had to be canceled due to a scheduling conflict. We are hopeful that it will be added to the agenda this week for the EIM Committee, possibly by Tuesday. Stay tuned! Thanks to everyone who took time to contact the Senate Judiciary Committee and your legislators about SB 408, a bill that would increase campaign contribution limits. 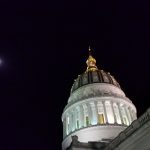 ICYMI, the bill stalled in committee after Senator Mike Woelfel (D-Cabell) successfully offered an amendment (similar to a bill passed by the Senate last year) to the bill to increase disclosure of third-party political spending. 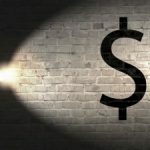 The amendment, which was similar to provisions included in a bill passed overwhelming with bipartisan support during the 2015 legislative session, would require any entity that spends more than $1,000 in a calendar year to disclose its donors to the Secretary of State’s office. The amendment would also close the “covered transfers” loophole, which allows large donors to contribute anonymously to secret money groups. We’ll continue to keep you posted. In the meantime, we’ll be working to see if we can get some traction on disclosure in the House. On Friday, HB 4527 was introduced by Delegates Tim Manchin (D-Marion), Stephen Skinner (D-Jefferson), Mike Caputo (D-Marion), Linda Longstreth (D-Marion), Shawn Fluharty (D-Ohio), and Dana Lynch (D-Upshur). 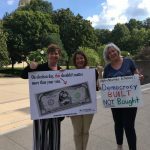 Like the disclosure amendment to SB 408, HB 4527 would require any group that spends more than $1,000 to influence our elections to say where the money came from. The bill would also close the “covered transfers” loophole that allows so-called “social welfare” groups to serve as money conduits to Super PACs. Full disclosure of campaign cash is an important step to ensuring our state remains in the power of the people. Please contact House Judiciary Committee members andyour delegates and urge them to support HB 4527. Tell them, secret money has no place in West Virginia. As West Virginians we stand up for what we believe in. It’s time we made the millionaires and corporations writing six-figure checks to influence our elections to do the same. We shouldn’t allow this lowly form of campaign cowardice to continue. 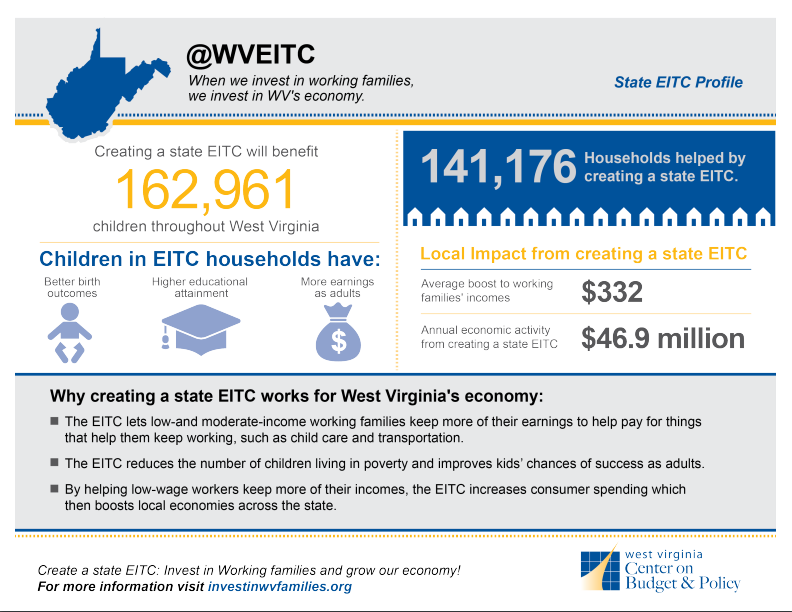 Check out investinwvfamilies.org and download fact sheets/info-graphics (like the statewide profile below, but specific to your district!) to share with your Delegates and Senators via social media, email, constituent meetings, etc. If you enjoyed this update, please forward it to a friend, post on Facebook, and/or tweet it out with #CapitalEye!